Its the first of the month and that means a NEW Fashion Challenge over at ACOT! Trending in December is pairing spring-like florals with black. In the scrappy world, that translates to a black background with any floral print – pattern paper, washi tape, ribbon, etc. So here is my layout, featuring my sweetie Penny. I used Webster’s Pages pattern paper and ribbon and alphas and twine. Washi tapes by Queen & Co and Love My Tapes. Mist is by Studio Calico. Make sure you check out the December Challenges that the gals at ACOT are hosting! Great page! Love that you turned the sketch and used it the way you wanted. Great misting and splatters too. Awesome adaptation of the sketch! Love that washi tape & the banner. So pretty! You’ve used the sketch and made it your own, with a very special touch. Love the orangy pp you used. Thank you for playing with us at Sketchabilities. Wonderful page!!! Love photo. Thanks for playing along Sketchabilities. Brandy I just love this! The papers and colors all look fantastic against the black background! And I love that banner and the lace! 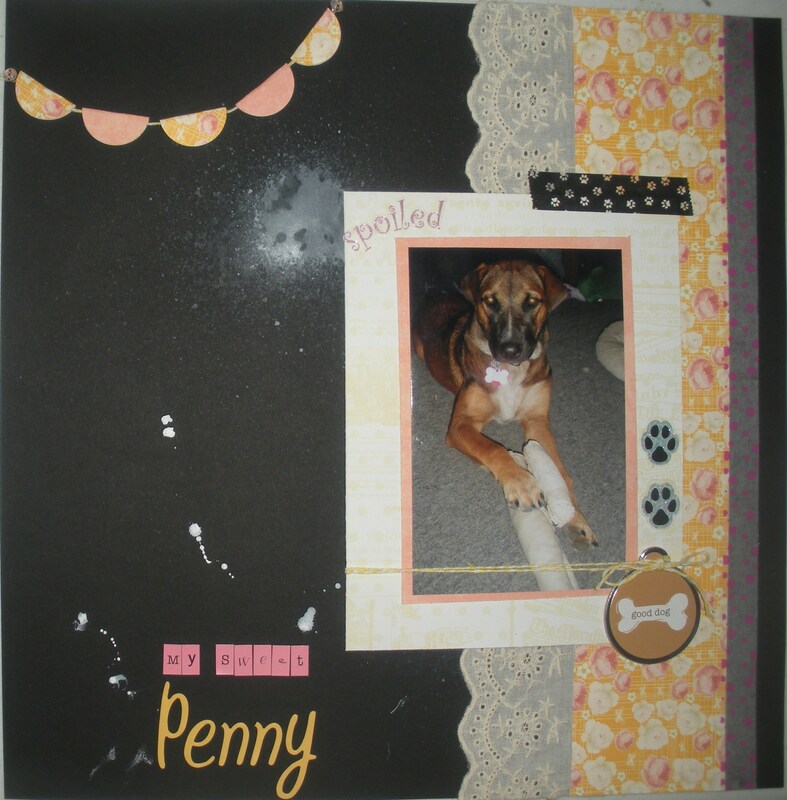 Such a sweet photo of Penny, and I love the washi tape and doggie embellies! Adorable photo! Love that you rotated the sketch! 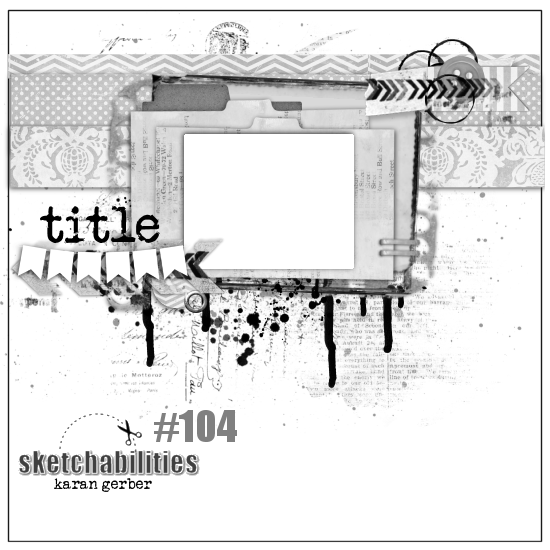 Thanks for playing along w/sketch #104 at sketchabilities! Clever! You switched the layout to make it match! Great interpretation! Thank you for playing with us at Sketchabilities!